“Don’t Rain on My Parade” is the most famous number from the 1964 musical, and 1968 film, Funny Girl, and arguably Barbra Streisand’s entire career as well. In the context of the play, the lead character Fanny Brice has suddenly decided to quit her tour with the Follies to follow her love interest Nick Arnstein to New York. This is Fanny’s turning point where her dream changes from becoming a star in show business to starting a life with her soon-to-be husband. The song has become a cultural phenomenon, from appearing in episodes of Family Guy and The Simpsonsto being the central song for the main character of Glee.While at first the song seems like Fanny’s liberation, upon careful analysis of the lyrics and context of the show, “Don’t Rain on My Parade” gives contradicting messages of female empowerment. In order to fully grasp the meaning of the number, it’s important to evaluate Fanny’s journey to the point of her decision to go to New York. In the beginning of the show, it’s obvious that the main character is captivated by the theater. Fanny, after a long, comical struggle, gets a job in vaudeville. She wins over her audiences with both unintentional and intentional humor, and it seems like she is a budding star. When we see Fanny’s home life though, there is much less support than one would imagine. In the song “If A Girl Isn’t Pretty”, we watch Fanny’s family friends poke fun at her looks, explaining why she could never be successful in show business. On the outside, this scene may seem like nothing more than some humor and motivation for Fanny. However, when looking at it through the lens of Jewish stereotypes it begins to carry more meaning. “Looking Jewish: Visual Culture and Modern Diaspora” by Carol Zemel, dissects the characterization of older Jewish women in popular culture around the sixties. In works that came out in the same decade as Funny Girl, such as Phillip Roy’s Portnoy’s Complaint(1969) and Dan Greenburg’s How to be a Jewish Mother(1964), “Jewish writers inverted the saintly character of the Jewish mother, and characterized her as vulgar and overbearing,” Zemel writes. Mrs. Brice epitomizes this overbearingness when she defends Fanny, still managing to make disparaging comments about her daughter’s nose in a room full of people. Clearly this would be a move that would embarrass any child, and yet Fanny seems used to it. Not to mention, Jewish noses being large and/or hooked is a known stereotype as well. This scene feels so truthful and honest, not just because the characters of the Jewish women are written well, but because of Streisand’s connection to this aspect of Fanny. In “Stars”, Gary Carey writes about how Streisand’s unconventional beauty allows her to become one with her role. 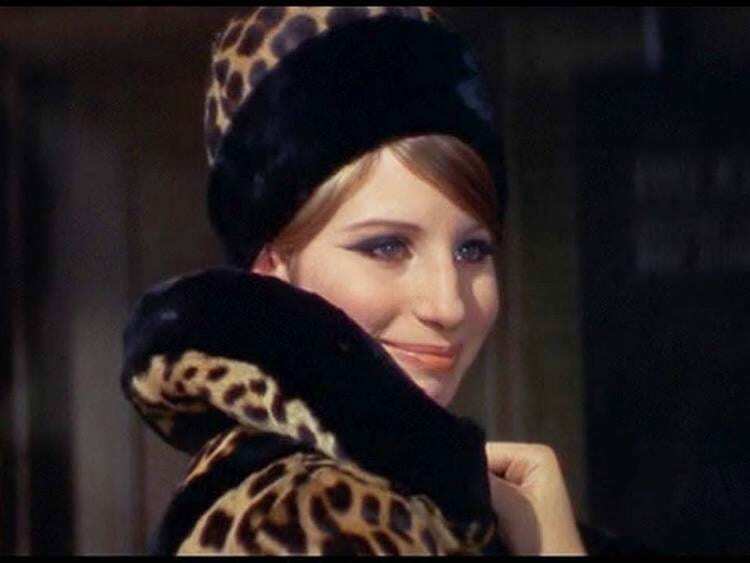 “Miss Streisand, just like Fanny Brice in her time, has had much play with her ugly duckling image,” Carey wrote. “Streisand, however- and this was also true of Miss Brice- may be basically sort of ugly, but she is endowed with innate elegance and has acquired an imposing chic that has made her, if not beautiful, a handsome woman.” The power behind a woman who isn’t perceived as pretty, and uses that to her advantage, can be remarkable. Streisand is able to perform as Fanny because she knows what it’s like to be Fanny, in a metaphorical sense. The strength is not only palpable in that living room scene, but is believable as well. The story continues though, and Fanny begins to change as she falls in love with the suave Nick Arnstein. After her risky, yet successful, decision to appear on stage as a pregnant bride, her stardom begins, and immediately declines she meets Nick. This is the critical juncture at which the audience sees Fanny’s determination to be a star slowly wither away. This context is key in examining Fanny’s decision to follow Nick, and thus, the meaning and irony behind the number “Don’t Rain on My Parade”. As the Follies learn of Fanny’s decision to abandon the tour and go to New York, they are frantically trying to save their group from losing its star. They beg Georgia James to convince Fanny to stay, to which Georgia, “It’s impossible. You can’t talk to Fanny about anything. Once she makes up her mind, she makes up her mind.” We then see Fanny on the phone with Ziegfeld, her boss, refusing to allow him to make her stay. This is where the true irony begins. At face value, a woman standing up to her team and her boss for something she wants is the embodiment of strength and empowerment. It is the thing that she wants which makes her strength ironic. While arguing with Ziegfeld, Fanny says, “I love the theater. I love to hear an audience applaud, but you can’t take an audience home with you. I want a personal life too, and I’m gonna have it.” This is the first time Fanny clearly vocalizes her abandonment of the love for the stage and the goal of becoming a star in order to be a wife. Generally, a woman lashing out against being told “not to live” or to “just sit and putter” would connote her displeasure with staying at home as a housewife. Without context, the first four lines of the song seem as if they are written from the perspective of a woman leaving her duties at home behind to chase her dreams. The clear irony in the “Don’t Rain on My Parade” lies in the context, because in this case, it is the exact opposite as Fanny is attempting to leave her dreams behind to become a man’s wife. Fanny uses the words sitting and puttering to describe her tour with the Follies; something she once only dreamed of doing. Now, Fanny’s “parade” is being able to chase after Nick with the hopes that he will accept her. In Stephen Farber’s “The Hausfrau, the Ugly Duckling, and the Funny Lady” he writes, “Unfortunately, the movie itself, focusing on Fanny’s doomed love for shady gambler Nicky Arnstein, ended by enshrining the romantic clichés that Streisand intuitively mocked.” In the beginning of the show, exemplified in how determined Fanny was to get a role in vaudeville and how she brushed off comments about her looks, we saw the main character as a woman who doesn’t fall into the stereotype of a quiet and graceful lady. But as Farber points out, this eventually fades away and Fanny falls into the cliché of which she was once the opposite. These two lines essentially sum up Fanny’s determination. She once wanted to be in theater, and she did everything in her power to assure it would happen. Then, she wanted to be Nick’s wife. Whether or not all of her actions truly depicted strong womanhood, there is no doubt Fanny knew what she wanted in life, and took the measures to make sure they were obtained. There is power in choice, something Fanny had from beginning to end. In this story, she had the means to become a true Jewish, feminist icon, though, and turn down a man to continue following her dreams. Instead she chose to chase Nick, and thus the innate irony in “Don’t Rain on My Parade”. Fanny made sure she got what she wanted, but perhaps sitting and puttering on stage with the Follies would have been better than starting a family with the criminal Nick Arnstein.